For those of you working in colder climates, it may seem that winter will never end — but the snow has to stop falling eventually, and temperatures will rise. When that happens, it’s time to get your excavator in gear for upcoming jobs. I’ve been in the construction industry for 40 years, including over a quarter century with a Volvo Construction Equipment dealer in Alaska, so I know machines and I know the cold. Inspecting your equipment and getting it ready for the spring will help you set the tone for a great year. 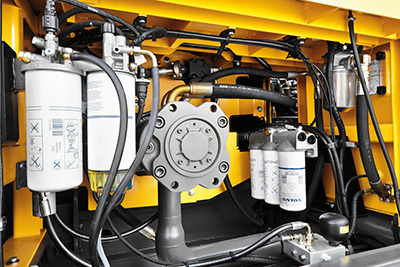 Fluids, filters and grease – Check the levels of hydraulic oil, engine oil and coolants, filling accordingly, and replace all filters. Grease major points thoroughly. Seals – Look for weeping or damaged seals and replace as needed. Note that black rubber (Nitrol) O-rings shrink in the cold, but after being cleaned and warmed up they may reseal. So make sure they’re actually damaged before replacing them or calling in someone like me for something that’s not a problem. 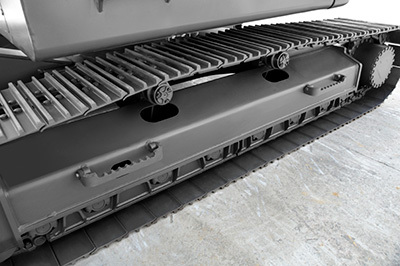 Undercarriage – Clean the undercarriage free of debris and adjust the tension. Check for loose track pads and repair as needed. Boom and arm – Look for excessive pin and bushing wear, as well as any damage to hard lines and hoses. If there are signs of excessive “play,” replace the pins and bushings. Do not wait — that could lead to an extensive repair job that causes significant downtime during the season. Also, shim the boom, arm and bucket to eliminate side play. Engine – Inspect all belts to ensure they are properly tightened. Replace any that are cracked or otherwise damaged. Also check the integrity of all hoses, looking for signs of wear, cracking, swelling or damage from chaffing. Replace as needed. Assess the engine for oil and coolant leaks and address immediately. These are signs of what could become much bigger issues later if ignored. Battery – Even if you removed the battery at the end of the season, inspect the terminals and posts, cleaning as necessary. Check the electrolyte levels, the specific gravity and top off the charge. 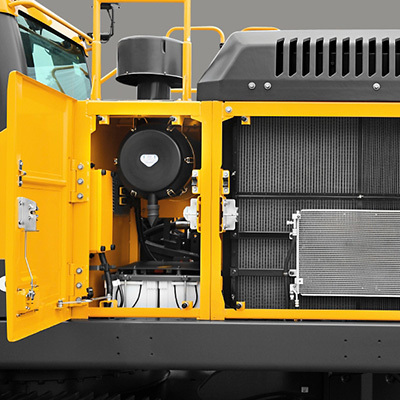 Interior and Exterior – Thoroughly clean the cab and replace cab air filters. Doing so helps protect the machine’s electronics and makes the space more comfortable for you. I’ve pulled cab air filters out of a machine that are nasty — that’s the air the operator is breathing.Remove snow with a broom or blow it off with compressed air. Don’t pound or scrape it off with a shovel unless you want to damage the paint on the excavator. When possible, move the machine into a warm storage facility to thaw any ice. Check that there is no ice around the swing mechanism, motor or transmission, as it can tear seals, leading to damage and downtime. Additional functions – Be sure to check that the lights, wipers, heater and air conditioning are all in working order, addressing repairs as needed. And remember, you can simplify your spring startup and avoid some problems by being proactive at the end of the previous season. Don’t skip winterizing. 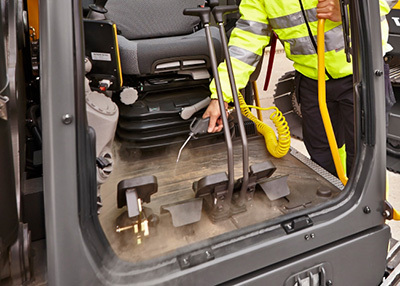 For example, before parking or storing your excavator for the winter, disconnect, clean and remove the battery and store it in a warm, dry location. You may want to consider using a trickle charger, too, as added assurance. For my personal vehicles, I remove the batteries or use a trickle charger when I’m away from home in the winter. Be certain to have the appropriate antifreeze solution for your climate. Most off-the-shelf options are a 50/50 antifreeze/coolant pre-mix, which are effective to approximately minus 25 degrees Fahrenheit. If you are in an area that sees colder temperatures, opt for a 60/40 antifreeze/coolant solution to prevent it from freezing, as this can lead to a broken radiator or even a broken engine block. Allowing your excavator to sit idle for months in the cold without these and other winterizing activities can lead to expensive repairs and parts replacements. It’s worthwhile to take the time to address them before the snow flies. You may choose to conduct these inspections by yourself or have a member of your team oversee the job. 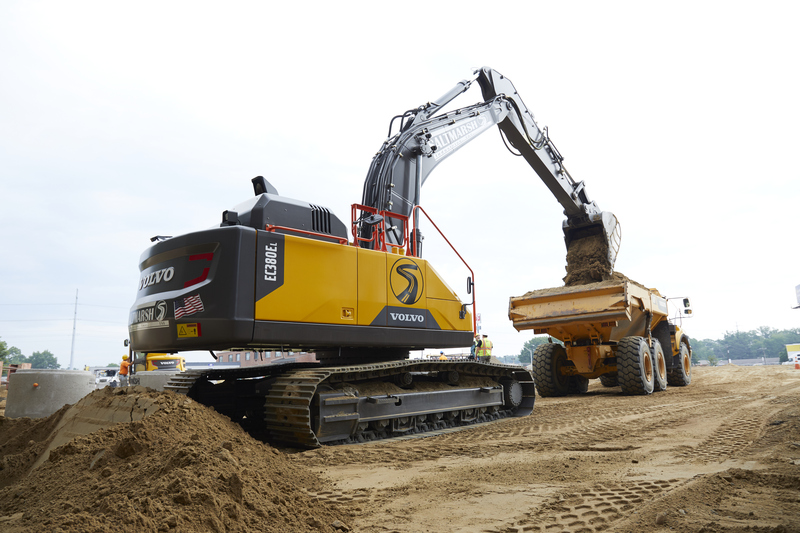 There is also the option to have a technician from a dealer or equipment manufacturer inspect the excavator. 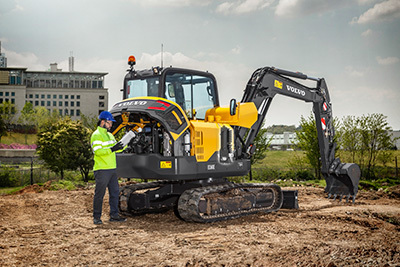 You could benefit from the expertise this technician has with the brands of excavators you run and with the experience they have from servicing machines from a number of customers. They could also look at fault codes, and if it’s a Volvo machine, they can download a MATRIS (Machine Tracking Information System) report. This report provides an in-depth look at operator behavior and operation data throughout the life of the excavator. 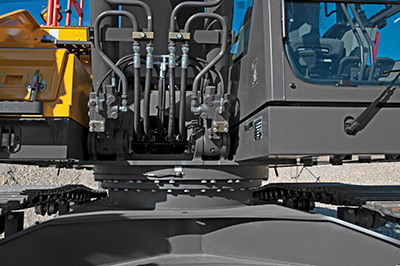 Whatever approach you take, it’s critical to perform thorough inspections to reduce the risk of downtime, costly repairs and lost time on the job as you enter the spring season. 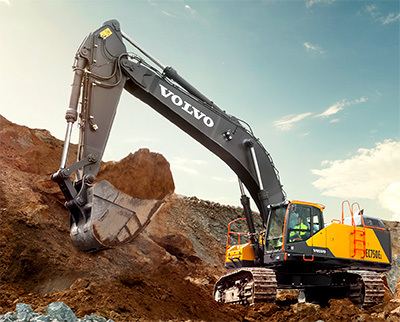 Now that I’ve got excavator service and maintenance on your mind, check out this Volvo blog post on serviceability features on excavators you should consider when looking for a new machine. 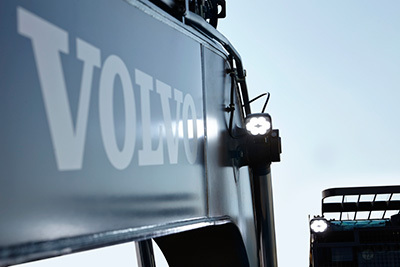 Field Technical Support Specialist | Garland Morrison has nearly 40 years of experience in the construction equipment industry, spending 26 of that with a Volvo construction machinery dealer in Alaska in addition to working in and owning his own shop. 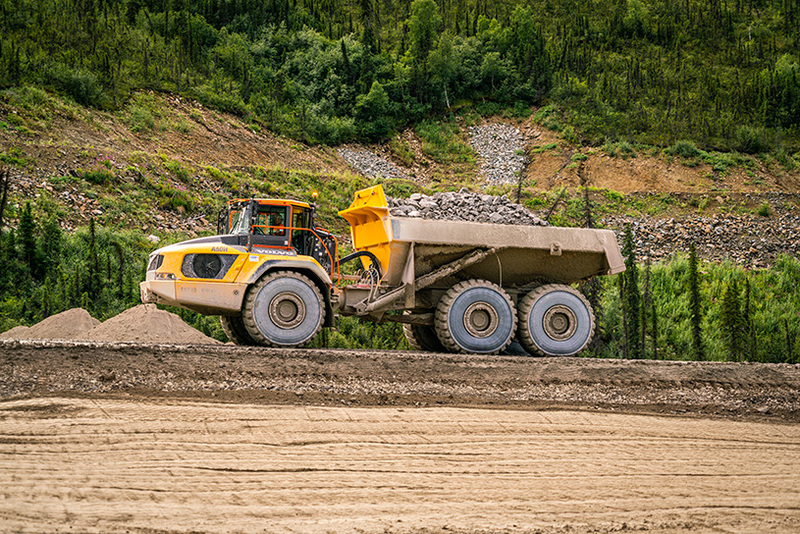 In his current role, Garland helps dealer technicians troubleshoot and repair products, and he manages parts and repairs for Volvo equipment used on the Discovery Channel show Gold Rush in the Yukon Territory, Canada.